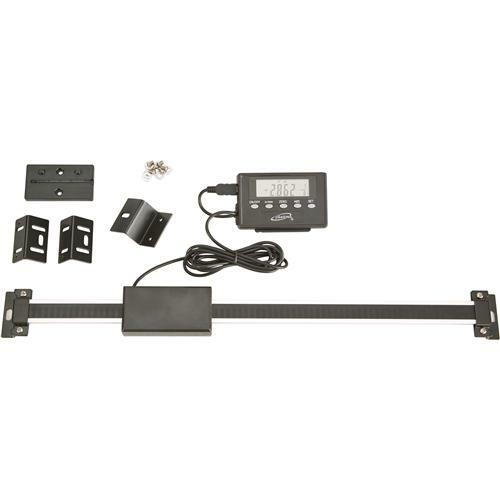 I bought a 0-6" Digital Fractional Horizontal / Vertical Remote Scale from Grizzly.com (link here)to install on my 7x10 lathe. This DRO would let me make cuts quicker and more accurate. 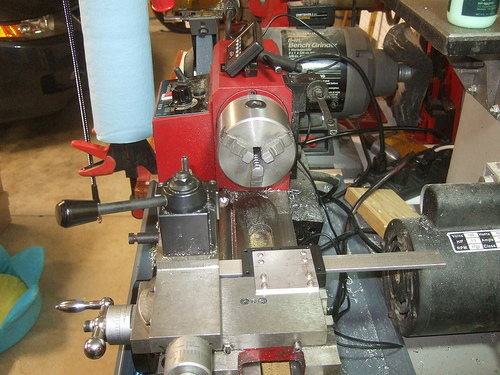 Grizzly had a sale for the 6" DRO for $22.95 and I plan to use it for the X movement on the lathe. I also a bought 12" version for the Y movement. Unfortunately the 12" version was not on sale, so I ended up paid $35 for it. With the compound rest assembly and QCTP removed, you can get a better view of the top mounting plate. 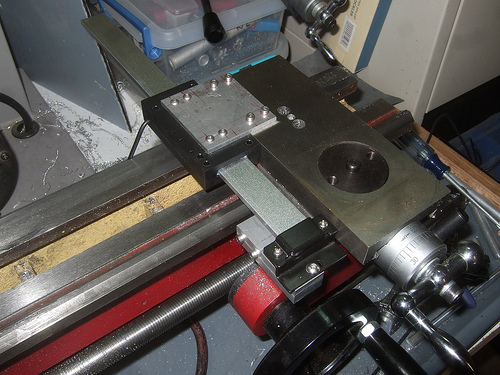 I took a thin aluminum plate drilled 8 holes, 4 for to DRO and 4 for the lathe. 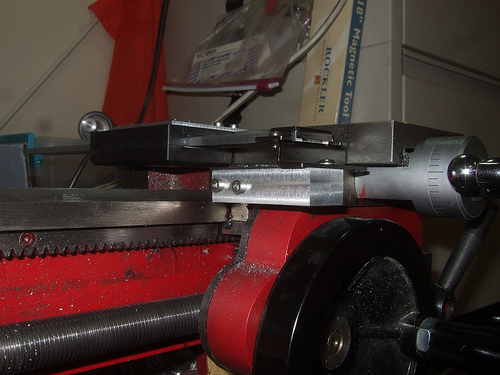 I also drilled and taped 4 hole on the lower compound rest to mount the aluminum plate. The next picture you will get a better view of the lower mount. Here I used a larger rectangle aluminum block to hold down the other end of the DRO to the carriage. The end of the DRO is held down by one 4mm screw that is mounted to the aluminum block and the block is screws on to the carriage. I had to drill and tap 2 holes to mount it the block to the carriage. 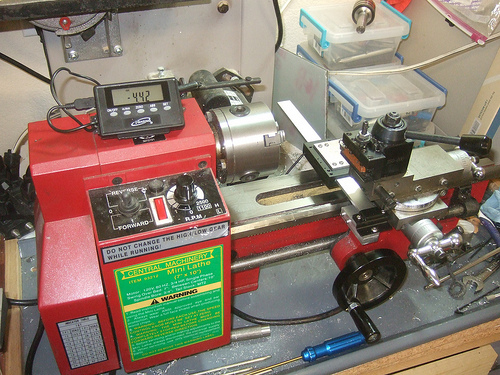 In this picture you will see the how far the DRO sticks out in the back of the lathe. I could cut it and make it shorter, but since it is not in the way of anything I will leave it alone for now. Here is a picture with everything put back together. I am not really sure where I am going to put the remote display yet because I will have 2 of these screens once I install the DRO for the Y position.